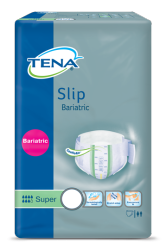 TENA Slip Bariatric is specially designed for clinically obese individuals. 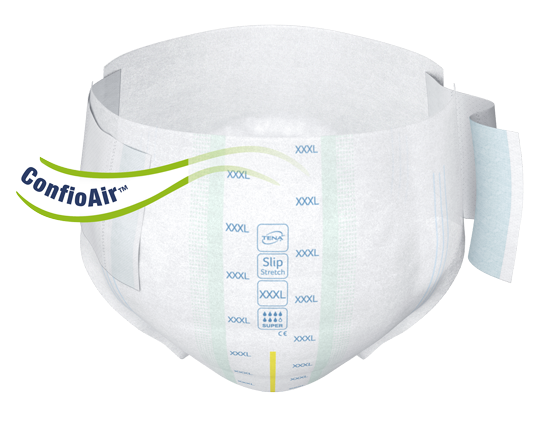 It is fully breathable and enables a customisable fit, helping the product stay safely and comfortably in place. 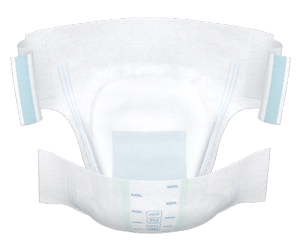 TENA Slip Bariatric is available sizes XXL and 3XL and one absorbency level. 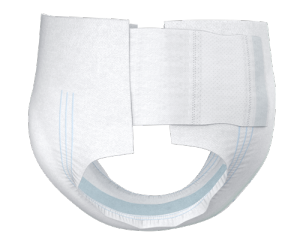 The combination of Breathable Stretch Sides and leg elastics provides a snug and comfortable fit. 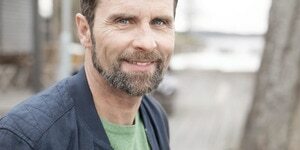 The breathable textile-like side panels of the incontinence protection allow air to circulate, helping to keep the skin dry and maintaining healthy skin. The fixation tabs can be repeatedly adjusted to ensure that the incontinence product suits individual requirements, for secure protection and high comfort. There is no need to open the incontinence product to find out whether it needs changing. The wetness indicator on the outside of the product turns from yellow to blue when it is time to change. Just one look at the wetness indicator will guide you. Ensures enhanced comfort and dryness for improved skincare.